Planning a wedding is a thrilling yet frantic process. There’s so much to sort out and look forward to, you’ll find yourself caught between two states of mind in the build-up to your big day: wishing the time away, yet wishing you had more time. If you’re looking to lift some of the wedding prep pressure, there’s an easy way to do it: Hire a jazz band. 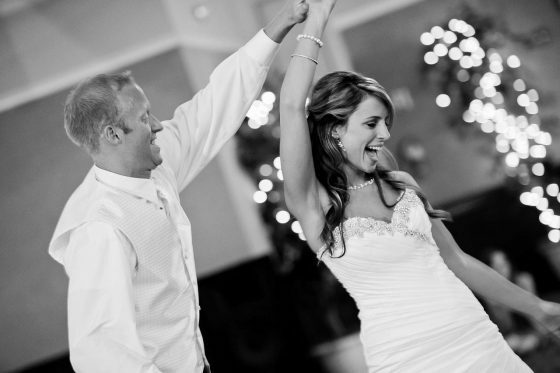 A boisterous, beautiful music genre, jazz has an ability to inject life and dazzle into your special day. After those first few trumpet blasts, something remarkable happens to everyone watching a live jazz performance. It all begins with a steady tapping of the feet, followed by a drumming of the fingertips. Then, seemingly out of nowhere, guests all over the room tear away from their tables in the hunt for a space on the dancefloor. From the blaring brass to the crashing cymbals, jazz music just has this effect on people – no matter how old they are or what their tastes in music may be. It’s irresistible. If you decide to hire a jazz band for the day you tie the knot, you’re guaranteed a lively, cheerful, vibrant atmosphere during the post-ceremony celebrations. It’ll be the kind of party that guests will talk about for years. There will always be guests who don’t fancy mingling on the dancefloor for one reason or another. Often, when a wedding DJ starts spinning the Spice Girls, they’ll sensibly begin discussing an appropriate time to pick up their coats and bid farewell. However, if there’s a jazz band on stage, the last thing anyone will be thinking about is leaving. A jazz performance will keep the room sizzling with energy; even if guests aren’t up for a boogie, they’ll find themselves enchanted by the smorgasbord of instruments creating a captivating, collective sound. Weaving through tempos and hopping from age-old classics to contemporary chart covers, jazz travels to the far corners of music history and back again – serving up something enjoyable for absolutely everyone. For all the hip-swinging, air-punching, and booty-shaking, a jazz performance never descends into debauchery – remaining a class act all the way. Whenever you hire a jazz band, you won’t get an MC bellowing on the mic for guests to throw their drinks up in the air. Instead, you’ll see the entire room immersed in Gatsby-style prestige and elegance, as the smartly-dressed musicians on stage let the music do all the talking. That’s the incredible thing about jazz: it’s undeniably young-spirited at heart, yet oh-so-elegant in demeanour. If you’re looking to hire a jazz band for your wedding, look no further than The Jazz Spivs. When you recruit our talented ensemble of musicians to play at your ceremony, you won’t just experience an outstanding performance; you’ll get a band that looks the part too. We don snappy twenties-style attire that would excite F Scott Fitzgerald himself. We’ve been travelling the country to send weddings out with a bang for years. Give us a call on 0800 756 5512 for a jazz performance with more fizz and pop than a bottle of celebratory bubbly.